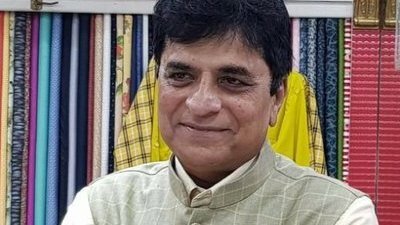 Mumbai: Besides negotiations over seat sharing and a one-upmanship tussle, there could be another sore point in a potential Shiv Sena-Bharatiya Janata Party (BJP) alliance — the candidature of BJP MP Kirit Somaiya. Somaiya, a parliamentarian from Mumbai’s North East constituency, is a firebrand BJP leader, known for calling out ‘scams’ by his political opponents, and has over the past five years, grown into one of the Shiv Sena’s most stringent critics. The 64-year-old MP has even taken on the Thackeray family, irking Sena leaders and workers. Several Sena leaders from Mumbai in an internal meeting over the weekend told party chief Uddhav Thackeray that if the alliance is formed, party workers will not support Somaiya’s candidature from the Mumbai North East constituency, and will work to ensure his defeat. Somaiya, a chartered accountant, is a two-time MP with the flavour of an activist and is known to spend most of his time as his party’s backroom investigator. His team gathers official filings and files Right to Information requests so that the MP can take up various issues and target his political rivals with corruption allegations. After the 2014 Maharashtra polls, which the Shiv Sena and the BJP contested separately, the former became a regular target of Somaiya’s barbs. Although the saffron parties joined forces to form the Maharashtra government, the conflict between them continued. In 2017, the Shiv Sena and BJP also fought the Mumbai civic body polls, a prestige issue for the Sena, as rivals. During this time, Somaiya became one of the foremost critics of the Shiv Sena from the BJP, attacking the party over issues such as potholed roads of the Sena-led civic body to corruption in contracts. What riled the Shiv Sainiks was that Somaiya decided to directly take on Thackeray by saying that the Brihanmumbai Municipal Corporation (BMC) was in the grip of a powerful mafia run by a saheb in Bandra. Matoshree, the Thackeray family residence, is in Mumbai’s affluent suburb of Bandra. He also repeatedly attacked the BMC and the Shiv Sena over a lack of transparency and dared the Sena chief to disclose his assets publicly. He even alleged that Shiv Sena leaders were using a web of shell companies, listing the names of seven such firms, to launder money earned as kickbacks in BMC contracts, further saying that two of these companies were also allegedly used by NCP leader Chhagan Bhujbal. The Shiv Sena hit back with its own allegations — that Somaiya had a hand in a slum redevelopment project through his wife’s company and that he was involved in the NSEL scam. The rivalry reached an all-time high when Sena workers allegedly attacked Somaiya during Dussehra celebrations, prompting him to write to the city police commissioner alleging that Sena workers wanted to kill him. Senior Sena leaders reportedly felicitated the attackers later and assured them of the party’s support. Sena leaders from Mumbai say that other BJP leaders, besides Somaiya, too have criticised the Shiv Sena relentlessly, such as BJP Mumbai president Ashish Shelar or even BJP minister Vinod Tawde, but party workers mainly hold a grudge against Somaiya because he directly targets the Thackerays. “What if a Shiv Sena karyakarta were to directly criticise or level allegations of corruption against Prime Minister Narendra Modi? Will the BJP take that lying low?” a Sena functionary from Mumbai asked. Party leaders talk about how Sena founder Bal Thackeray nurtured Somaiya like many other BJP leaders and it was largely because of Shiv Sena that the MP won the 2014 Lok Sabha elections. Somaiya won the Mumbai North East seat in the 2014 parliamentary elections, which the Shiv Sena and BJP contested as an alliance, crushing his opponent by a huge margin of 3.17 lakh votes. Shiv Sena leaders say, the constituency, which spans Mumbai’s eastern suburbs of Ghatkopar, Vikhroli, Bhandup and Mulund, has a significant Marathi population and the Sena machinery heavily campaigned for Somaiya to garner these votes.